Rwanda: A Chance to Double Your Impact! One of the things I love most about my job is the chance to work with the Relationship Coffee Institute. Founded through a partnership between Sustainable Harvest® and Bloomberg Philanthropies, the Relationship Coffee Institute is an independent nonprofit dedicated to improving the lives of coffee farmers, especially women, through technical training and market access. The organization works directly with farmers and cooperative leaders to improve productivity, quality (on-farm and post-harvest handling), climate resilience, business acumen, and gender equality. Its innovative, market-based initiatives have already more than doubled productivity and income for thousands of women farmers. The Relationship Coffee Institute began its work in Rwanda in 2013, piloting a new training model with two cooperatives of over 4,000 women. The innovative approach used by the Relationship Coffee Institute is called Premium Sharing Rewards. Far too often, farmer capacity building is measured only in outputs, not outcomes. Technical assistance providers regularly report on trainings held and numbers of participants trained—versus focusing on the training’s actual outcome. Premium Sharing Rewards was developed as a way to incentivize farmers to expand their skill set and technical proficiency. When farmers participate in trainings, they get loyalty points as if they were in an airline frequent flier program (without blackout dates!). Points are earned when participants demonstrate mastery of a training’s key concepts. These ‘rewards points’ accrue over time and can be used to acquire productive assets such as pruning shears, mobile phones, and solar lights. The catalog of rewards was co-designed by the women themselves. Premium Sharing Rewards provides the short-term incentive needed to fill the gap between when the market takes over. I had the honor of recently visiting one of the pilot participants, the Twongere Umusaruro Cooperative. Twongere is a young cooperative full of hope and high-quality Red Bourbon coffees. The temperature, rainfall, and ecological conditions of the Rukara region of Eastern Rwanda, where Twongere is located, are ideal for growing exceptional coffees. This rising star is comprised of nearly 200 women, all of whom have been participants in the Relationship Coffee Institute program that has increased quality, market access, and incomes. Twongere has graduated from the program and stands as a leader in cooperative governance, with their former president now advising other cooperatives throughout the country. Twongere also runs their own washing station, where coffees are carefully depulped, fermented, washed, and dried on raised African beds. The members of the cooperative carefully hand-sort the coffee each step of the way. After the successful pilot program more than doubled farmer incomes, the work in Rwanda has scaled to include 56 cooperatives and is now reaching 25,000 women. 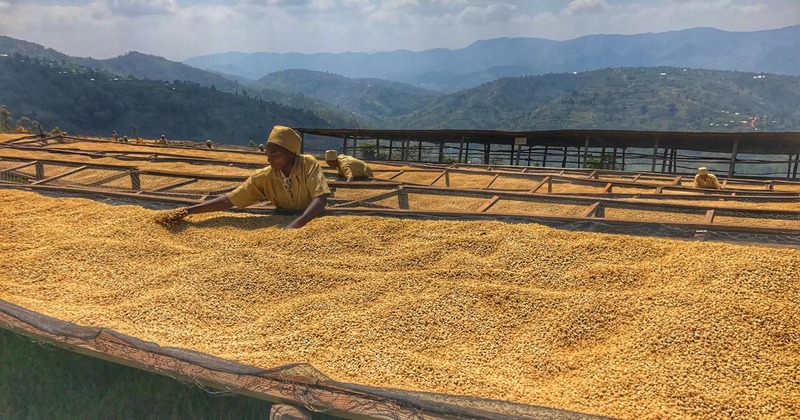 To help give this important work a boost, our team at Sustainable Harvest® has decided to reinvest all profits earned from 2017 Rwandan coffees sales into Rwanda farmers through the Relationship Coffee Institute—and you can help! Every purchase our customers make will not only provide growers with premium prices for their incredible coffees, but it will also be used to make new investments in cooperative infrastructure, such as cupping labs and washing stations. Together, our efforts will help Rwandan farmers secure the tools, training, and technology needed to build brighter futures! 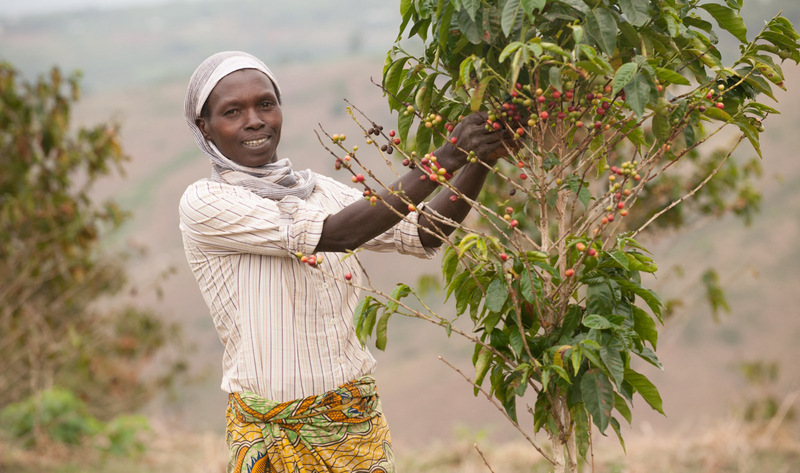 Sustainable Harvest® customers who purchase Rwandan coffees will learn more about their impact from quarterly updates and an annual progress report from the Relationship Coffee Institute. Participating customers will also be recognized publicly by the Relationship Coffee Institute at next year’s Let’s Talk Coffee event in Rwanda. Finally, participants will have access to royalty-free images and marketing content that will demonstrate your commitment to social investment to your customers. 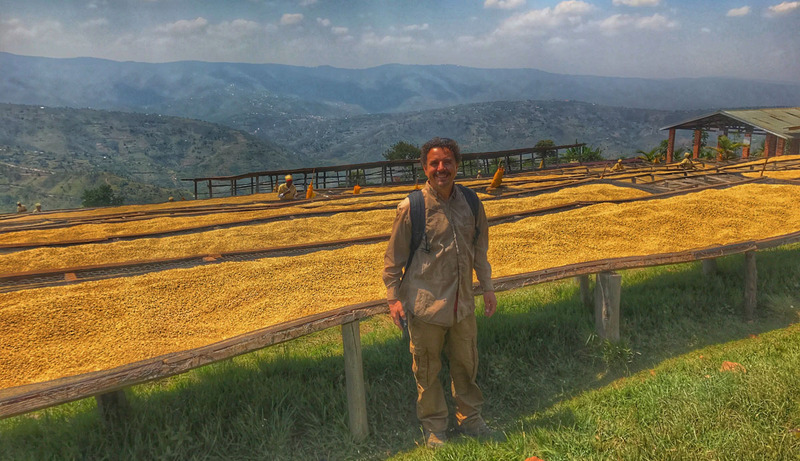 Click here to learn more about these incredible coffees and how you can double your impact today!